Where to Park in Woking? 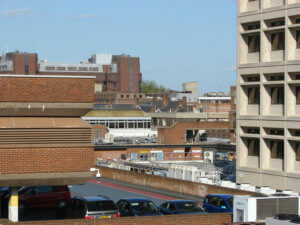 | Curchod & Co.
Where to Park in Woking? If you do decide to relocate to Woking for business, then it is likely that you will need to travel further afield for networking events, business lunches or to attend meetings either in London or the surrounding areas. We have included some useful information for you on the main car parks that are located in the town centre. However, this is not an exhaustive list and more information can be accessed via the links which are provided below. Alternatively, you may prefer to purchase a residential permit for £50 by clicking the link here. This car park is ideal if you are either shopping in the town centre, staying at the Holiday Inn or need to access the nearby train station. This car park is open 24 hours and offers free parking on bank holidays and at the weekend. If you are travelling from the local train station, then this is an ideal place to leave your car as the car park fees are very reasonable. This car park offers up to three hours free parking and is located at the local leisure centre. For more information, restrictions, times and charges check out the local Woking Council website here. For more information about Woking’s residential permit scheme for parking, you can find out everything you need to know, including eligibility over on the local council website here. This modern station was first opened in the year 1834 and later found fame in H.G Wells’ famous Sci-Fi Film the “The War of the Worlds” where it was destroyed by alien invaders. The prime location for Woking station, in the heart of the town, enables commuters to travel further afield to destinations such as Portsmouth and London Waterloo with great ease should they wish to do so. Moreover, this station is home to six platforms which can all be accessed via lifts from the western footbridge, so those with reduced mobility needn’t worry. London commuters can catch a fast train from Platform 2. In addition, this fast-paced station offers a wealth of facilities, which include the Oriental Road Premium car park with 590 spaces starting at £10 for a daily ticket, bike storage for cyclists and accessible ticket machines for wheelchair users.